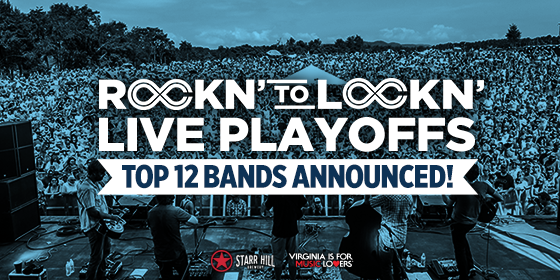 LOCKN Music Festival's live playoffs featuring Rockn' to Lockn' 2017. Photo provided. The LOCKN Music Festival is holding a playoff style battle of the bands competition for a spot at the event this upcoming August 24-27 in Arrington, Virginia. This competition brings out the best in the local talent. It provides a launchpad for smaller acts to gain exposure early on in their career. Get into the spirit of March Madness with a YouTube Playlist to browse over music featuring some of the acts performing at the 2017 Rockn’ to Lockn’ events this April. Kendall Street Company - "Cars"